Federal law requires commercial vehicles traveling in interstate commerce to carry $750,000.00 in insurance coverage. But, do not kid yourself into thinking the insurance company will simply offer you that money following a trucking wreck. From the moment of your accident, the trucking company and its insurance carrier have been working to find ways to deny your claim. You need our team of experienced trucking attorneys working for you so that you can get the maximum compensation possible. If the trucking company denies responsibility, we know how to gather the critical evidence to show their driver was at fault. This may include subpoenaing phone records to show the driver was texting or talking on the phone at the time of the crash, downloading "black box" data from the truck, locating and interviewing eye-witnesses, hiring accident reconstruction experts to examine the physical evidence at the scene and give opinions on speed, braking, etc. Even if the trucking company admits their driver was at fault, they will likely dispute the severity of your injuries. We may need to hire life care planners, vocational experts, medical experts and economists to demonstrate the nature and extent of your injuries so that you are adequately compensated for your losses. 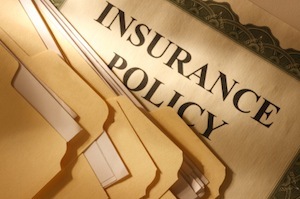 Finally, in some extremely rare cases, the insurance company will offer its policy limits. But in those cases, it is because your losses are so enormous and, in those situations, $750,000.00 is not nearly enough compensation. In those situations, you need our experienced team of trucking attorneys to help you determine if the trucking company has any other assets that can be used to compensate you or if there may be other at-fault parties like the truck manufacturer, the company who repaired or maintained the truck, the tire manufacturer, etc. If you or a loved one has been injured in a truck accident, put our experienced team of truck lawyers to work for you. Call 615-742-4880 or toll-free at 866.812.8787 or contact us online.